There are several criteria we use when performing Twitter keyword searches. Feel free to adapt these tips to suit your needs. Based on the above criteria, here are the free keyword services we’ve found to be most useful broken down into two distinct categories – those that offer an email delivery option and those that are for more immediate needs (real time). Tip: Searches via email are useful when you are more interested in who and what rather than when. Twilert is the only one of the three that meets all five pieces of criteria outlined above. Additionally, if for some reason the search results are delayed, they include a sentence or two at the beginning of the email indicating why (typically due to Twitter servers going down). Twilert is also the only service that allows you to set the desired time of day the results are delivered to your inbox. Despite the fact that you may want to retch because you associate SocialOomph with the twitter bots, spammy auto-DMs and those who just really don’t get “IT,” SocialOomph actually has several features that can make your Twitter experience more pleasurable and efficient. And we’re all over pleasure and efficiency. Among those features is the ability to have keyword searches sent to you via email. Though they do not meet items #3 and #5 above, they make up for that by offering a keyword building wizard. Tip: If you chose the “every 12 hour” delivery option, realize it bases the schedule on the time you set up and activate the keyword search. The concept behind TweetBeep is cool, but after testing it on a number of occasions, based on its massive unreliability, we think you should just skip it and jump right into the services that will help you with real time searches. Real time searches are certainly more effective when you want to track what is happening NOW! While many platforms allow searching within them (Hootsuite, TweetDeck, Web interface, etc. ), when you need information about what’s happening when it’s happening, we recommend you explore these alternatives. Sign into Twitscoop via your Twitter account and you can easily reply, DM, and RT directly from their interface. The right column has a tag cloud showing popular conversations happening at that moment. While we are not typically fans of websites designed using black backgrounds, Twitterfall deserves this second place slot because it does two things the others don’t. Twitterfall allows you to log in with your Twitter account and follow the users tweeting your keywords. It is also the only one offering you the ability to narrow down your results geographically. Primarily known and used for Twitter Chats; Tweetgrid should not be overlooked for real time searches. 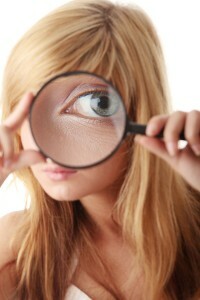 This is the only tool that offers simultaneous searches from within one window (up to nine). Used properly, these Twitter keyword research tools can not only help build your social network, but they can also help you deliver consistent social media marketing results for your clients. The tools listed above are by no means all inclusive of the various ones available. Let us know in the comments below some of the other ones you use and what you like about them.